Web hosting is not the sexiest of products. For most people it is just another commodity (like gas or water), with price being the primary differentiator. The truth is, web hosts are wildly different, with varying degrees of support, page load speeds, reliability and security. The problem is the large majority of web hosts have done a terrible job in communicating their brand values, and have failed to develop strong brand loyalty. 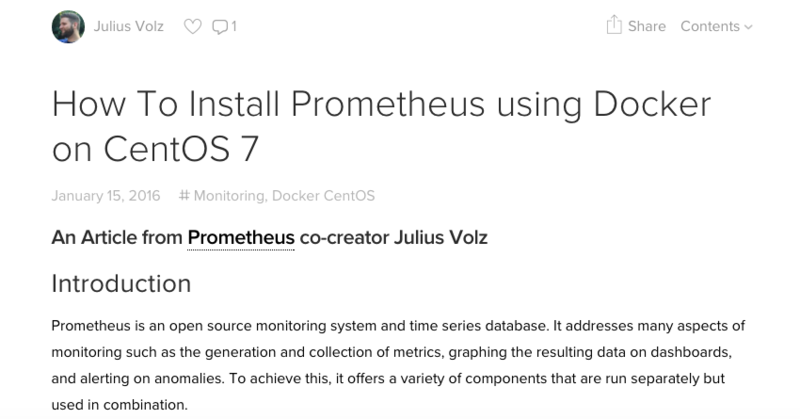 There are a few exceptions, and one of the most notable is Digital Ocean. Digital Ocean have been able to come out of nowhere and become on the the best known (and loved) companies in the industry. Digital Ocean spend very little money on traditional advertising (compared to the likes of GoDaddy). Instead they are investing heavily in educational content and community building for their customers. In this post I am going to give a breakdown of how they have been able to develop such a loyal following amongst their customers. The great thing is, you can apply all this to your business, no matter who your customers are or what you sell. Their ever growing technical tutorial library covers a huge range of topics related to server management. At the time of writing they have over 1,200 articles to read. These types of articles are a huge investment, and require specialist copywriters to do them well. Readers can also comment on these articles to ask questions and even suggest alternative ways of achieving the same goal. Staying on top of so many comments is a task in itself, and you’ll see many examples where brands have all but walked away from the community management aspect of a project. Digital Ocean are clearly invested in engaging with people and are quick to reply to comments and questions. One of the biggest drains on any service led company is customer support. This is especially true with technical products. Digital Ocean have created an online Q&A area for their customers to ask for help from their peers. It directs customers to look for support away from the telephone or traditional support ticket. It builds a self-supporting community that feels responsible to help each other. No one knows a product like your customers, so why not have them write the support articles? 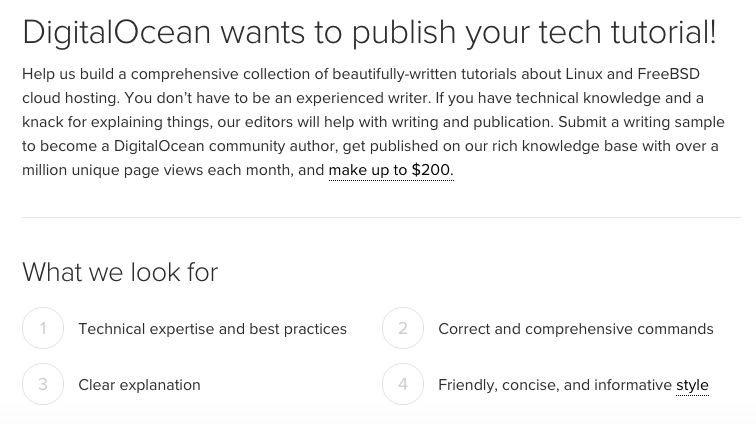 Digital Ocean pay up to $200 for a published article on their support database. This is a great deal for them and their customers. It would cost far more than that to get a professional technical copywriter to produce the same content. Digital Ocean are investing big in this area, building a dedicated team to drive their community building. Digital Ocean have changed the game for the web hosting industry. They have shown that web hosts can be powerful brands with emotional resonance. They have done this through simple products that do exactly what they promise they will do, backed by a huge investment in turning their customer base into a community. If you’re entering the web hosting market, DO are definitely one to get inspired by. They went from zero to market leaders in a very short space of time.